The little hot chilli pepper is on the run in this bright new picture book from Shalla Gray. 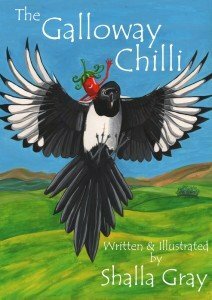 Follow the fun as the runaway chilli is chased through the Galloway countryside by a curious collection who want to eat her for their tea! Find out in this fabulous new book.